We all know the benefits payday loans can offer. A fast and easy way to get an advance on your paycheck may seem great at first. While these advances are convenient to anyone needing quick cash, it can ultimately become a never ending loop of losing more money than you realize. If you're considering using a payday loan then you are likely living paycheck to paycheck just like many other people today. An advance on your pay seems like a great way to get mid week funds to tie you over until you actually get paid, but think about the design of this system. Most cash advance services allow you to not only take out one paycheck advance but two at the same time. The reason for this is quite obvious if you think about it. It is designed to let you take one advance to pay your debt and another to handle your normal living costs. This provides a great recipe for disaster. The companies that provide payday loans do so at a cost to the client. While you receive the money you need you pay it back with interest just like any other loan. 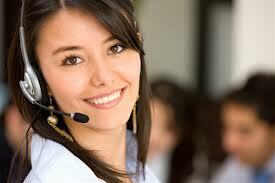 Prices charged by these services vary based on the amount of the advance. The more money you borrow the more you pay back. This combined with being able to take out two simultaneous payday loans can potentially take hundreds to thousands of dollars away from your yearly income. Suppose you make $500.00 per week and take out a $200.00 payday loan on a regular basis. The cash advance interest on a $200.00 loan is on average around $30.00 dollars. That's $30.00 per week you would be paying just to get some of the money you already earned earlier than usual. If this became part of your weekly routine you would be paying $1560.00 per year just for payday loans. Most frequent users of cash advance services don't stop to think about the long term financial impact it can have. Getting your money quickly seems very appealing on the surface. In a more sever circumstance many consumers become so caught up in the loop they are borrowing their full paycheck on a weekly basis. This results in the use of two payday loans just to keep up with debts owed to the cash advance service. In emergency situations the use of payday loans can be a great advantage. Even an occasional cash advance for personal reasons can offer a quick solution for people needing their money fast. Although these services can be used to the benefit of many seeking quick cash, if it becomes regular practice you've let yourself get sucked into a bad situation. If you find yourself regularly using cash advances just to stay ahead then you should stop as soon as possible. Pay your existing debts and stop before you've given a large sum of money away. If you let yourself get caught up in the never ending loop of payday loans it can end very badly. Remember that waiting longer is far better than paying for money you've already earned.